Opportunity to be entered to win free MMF!!! | Micro Daily & Protein Daily in ACTION! Opportunity to be entered to win free MMF!!! Posted on May 12, 2015 by Micro Daily & Protein Daily in ACTION! With all of the exciting new announcements and upgrades to our fast start program we are making it easier and easier for you to earn thousands of dollars every month. A key part of building your business is getting your three and helping other members get their three fast start members. To help you with this goal we have weekly meetings in Provo every Wednesday night at the corporate office and every Thursday night in Sandy at the Hilton Garden Inn both meetings start at 7 PM. As an extra bonus we are having a drawing at each meeting each week for free plant based chlorophyll encapsulated MMF!! 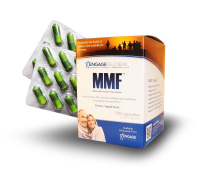 *All you need to do is bring a guest with you to one of above mentioned meetings and your name and your guests name is then entered to win a box of MMF at the meeting! Start now to build a successful business with Engage Global. Is this a corporate sponsored program or the local field leadership?